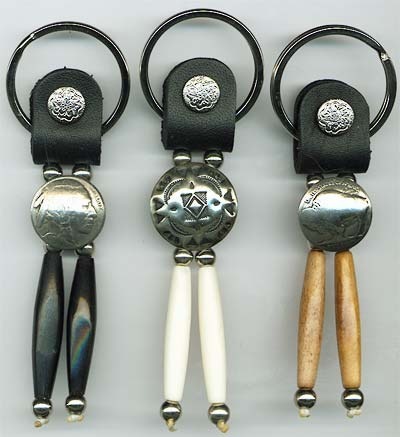 These Key Chains are beautifully hand crafted with a Native American and biker spirit. 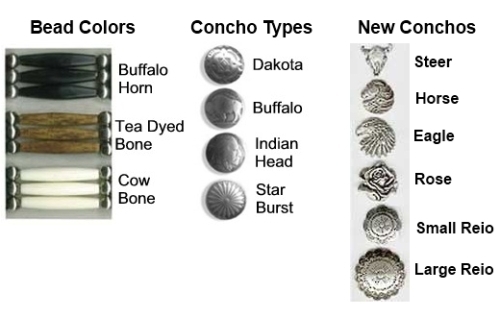 Authentic buffalo nickels, cow bone and buffalo horn beads are used. These key chains are custom hand made per order. Delivery is from 1 to 4 weeks. 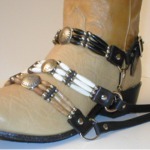 We also have available matching belts, boot bolos, boot straps, hat bands, head bands, hair ties, chokers, earings, necklaces and bracelets.